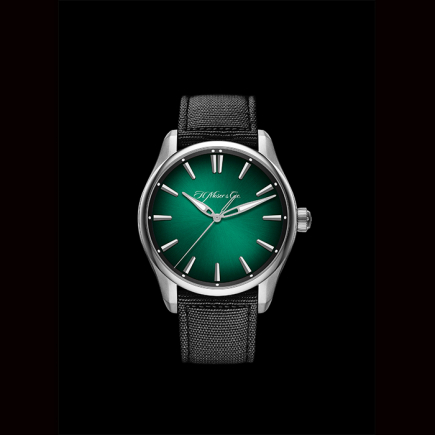 With its usual refinement, H. Moser & Cie. is reinventing the sporty aesthetic, adding its own elegant signature, in this modern twist on the sports watch. Marrying a pioneering spirit with innovation and ingenuity, H. Moser & Cie. is launching the Pioneer Centre Seconds, the first model in this new collection. 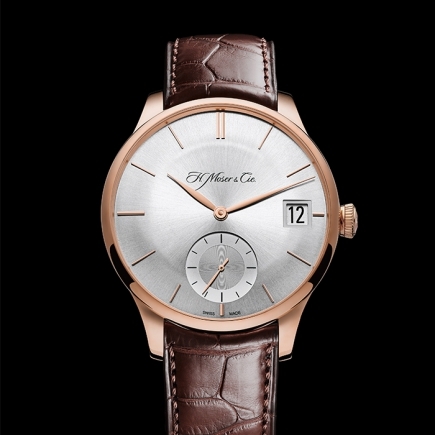 Powerful, masculine and refined, this timepiece sets the bar very high for an elegant sports watch. The Manufacture enters this new territory, breathing new life into it. 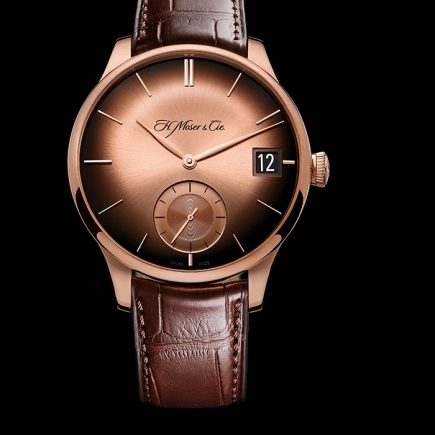 With the Pioneer Collection, H. Moser & Cie. is opening the door to a new creative universe, seeking to attract additional customers who are more than ready to be won over. 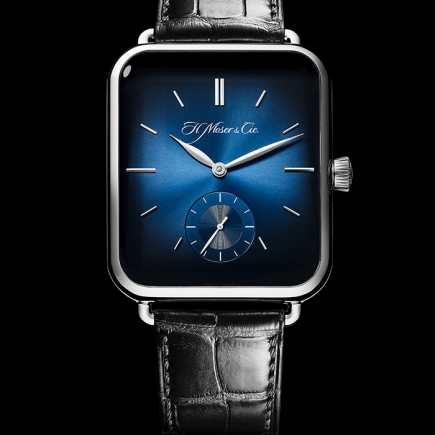 H. Moser & Cie. originally announced a new family of watches for 2016. 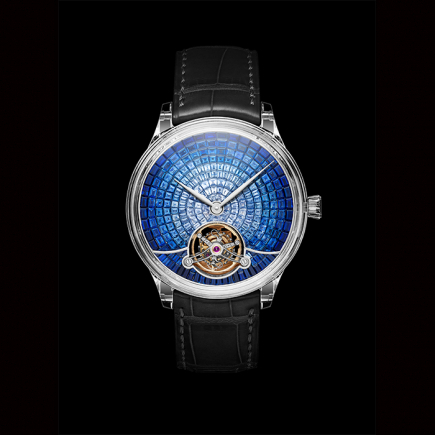 One year earlier than initially planned, the Manufacture is now presenting its Pioneer Collection. Proof, with some panache, of a solid and promising basis for growth, positioning itself in a segment which offers new possibilities and opportunities – the sports watch market. This resolutely sporty and functional model exudes an understated air of elegance, characteristic of all H. Moser's creations. 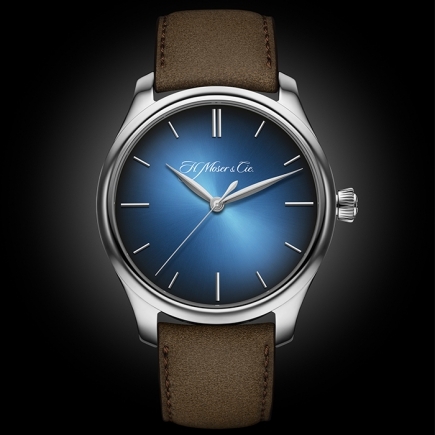 Teamed with a solid rubber strap and water-resistant to 120 metres, this is certainly a watch for everyday wear, with the class and distinction expected from H. Moser & Cie. A strap in rubber makes a début appearance in the H. Moser & Cie. collection, in a perfectly logical progression with a design that echoes the case and dial on this strong, elegant watch. With a case measuring 42.8 mm in diameter, the Pioneer Centre Seconds retains balanced, harmonious proportions. Composed of multiple sections, this case represents a feat of technical innovation thanks to its modular design. 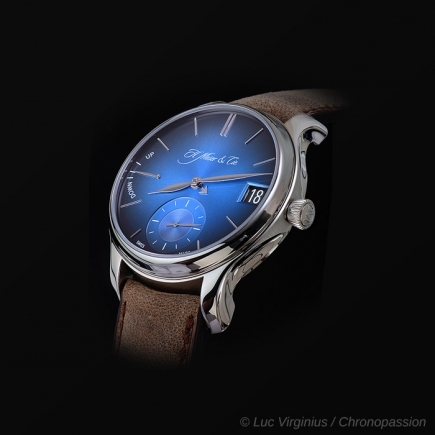 Therefore, in creating a bold reinterpretation of the traditional H. Moser case, new possibilities are demonstrated. The famously unusual, organic shapes decorating the flanks of other H. Moser & Cie. watches are more modern, more dynamic in this model. 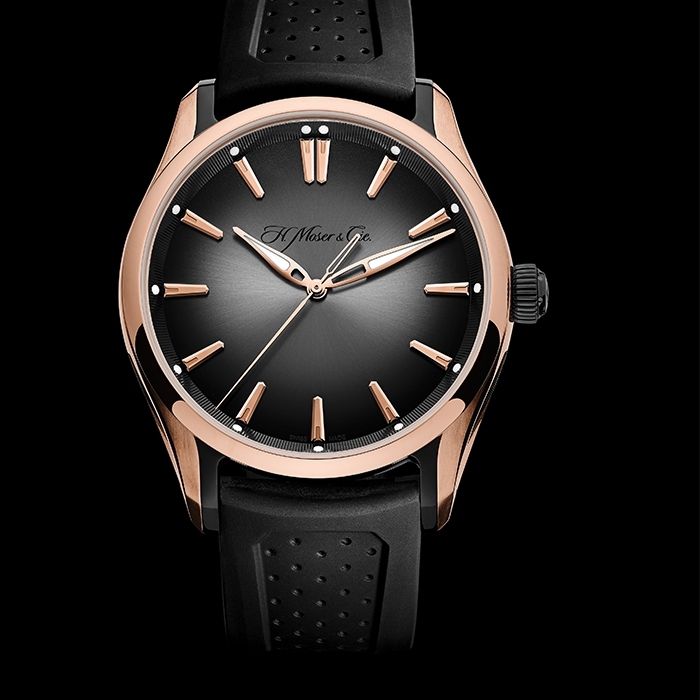 Black DLC-treated titanium inserts adorn the sides of the Pioneer Centre Seconds, giving a new dimension to the alternating satin-finished and polished surfaces, an integral part of the H. Moser DNA which runs through the Pioneer Collection. Faithful to the codes which make up its identity, H. Moser & Cie., in this collection, revisits the traditional shape of its indexes and hands. Thus, this is the first watch to feature leaf-shaped hands with Superluminova® to accentuate the sporty nature of the watch, with the hands partially skeletonised for a light, elegant and refined look. 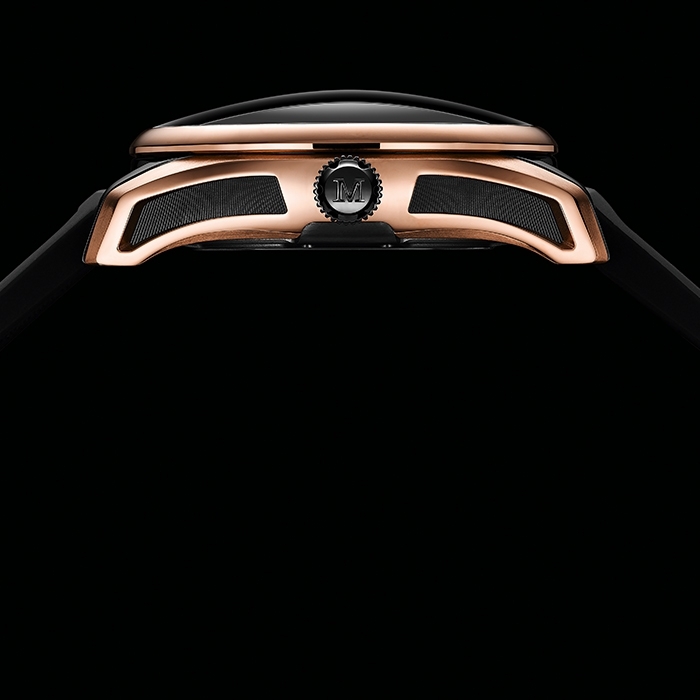 For the ultimate in sports design: 13 luminescent dots indicate the hours on a flange around the dial. To power the Pioneer Centre Seconds, H. Moser & Cie. has developed a new automatic movement. 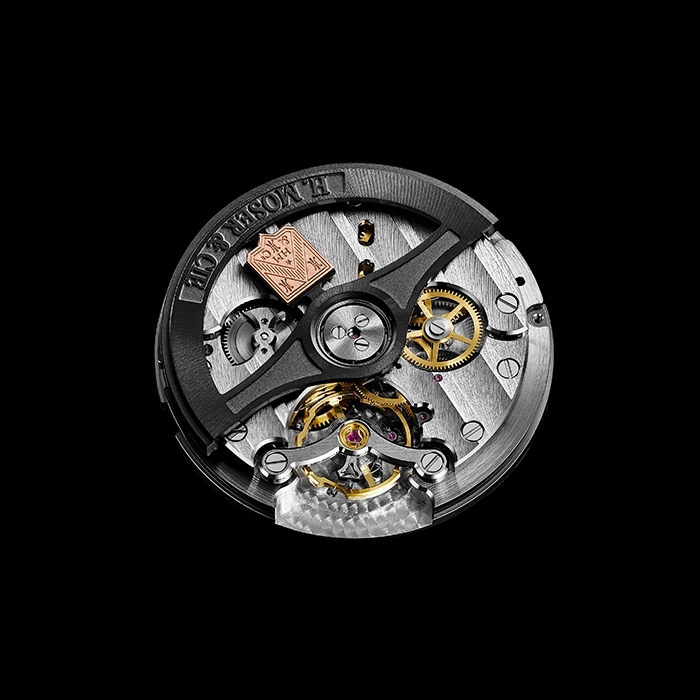 Equipped with regulating organs created by Precision Engineering, this high-flying movement features a patented new automatic system, which ensures a more direct transmission of energy, enhanced performance, improved ergonomics and reduced dimensions. 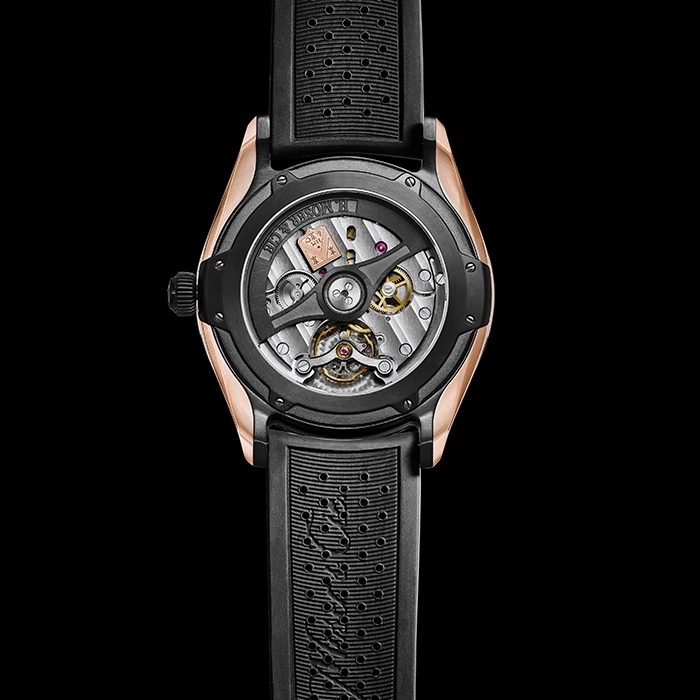 Equipped with a bi-directional pawl winding system, the watch guarantees a minimum power reserve of 3 days. Finished traditionally and decorated with Moser stripes, the HMC 230 calibre has been accentuated with a black treatment, for a sporty look, and red-gold elements to match the case: the rotor includes an elegantly engraved H. Moser company hallmark which shines in red gold. 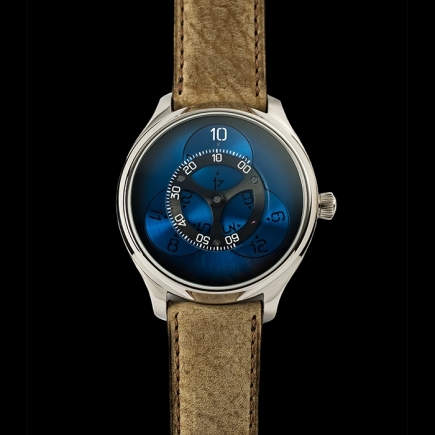 Pioneer: the name makes reference to the third phase in Heinrich Moser's life. 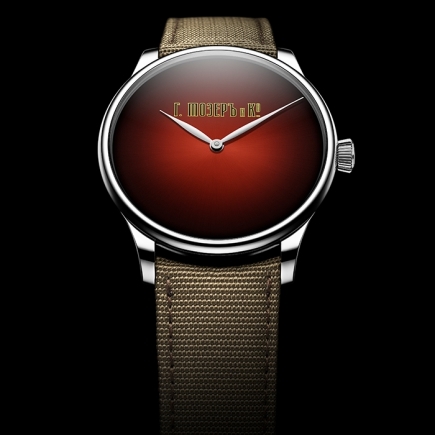 By the time he returned to his home town of Schaffhausen in 1848, the founder of H. Moser & Cie. was an accomplished man who had successfully made his fortune in Russia. Demonstrating the same visionary spirit, well-judged ambition and undeniable ingenuity, Heinrich Moser then set about developing the town where he grew up, transforming it into an industrial city at the cutting edge of technology. And so he was the man behind Switzerland's largest hydro-mechanical dam, which provided industries in the region with energy and which took three winters to build, under the direction of Heinrich himself. 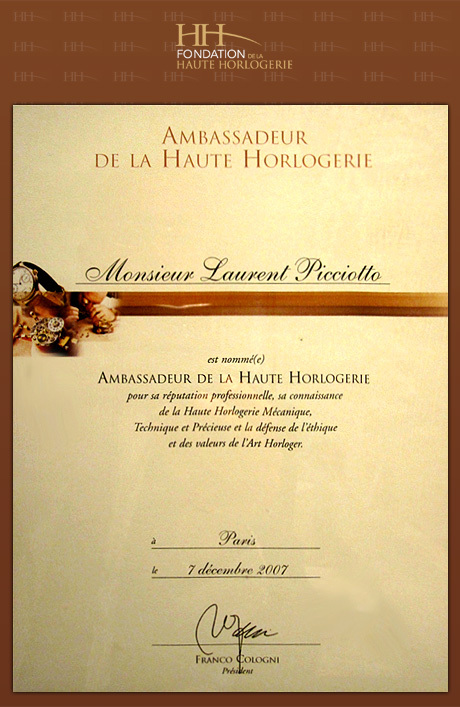 In keeping with founder of H. Moser & Cie., Edouard Meylan and his family personally invested in the new structure that they were developing at the company. It also took them three years' hard work to launch the Pioneer Centre Seconds. Bold and modern, the mark of a pioneering and adventurous spirit, with a strong design that makes reference to the industrial world, the Pioneer Centre Seconds is an outstanding tribute to the last phase of Heinrich Moser's life.